The activity detected anticipates NOAA prediction concerning the next day. A small pulse is observed around 02:00 UTC (white box). It is recognized also by the Italian stations. 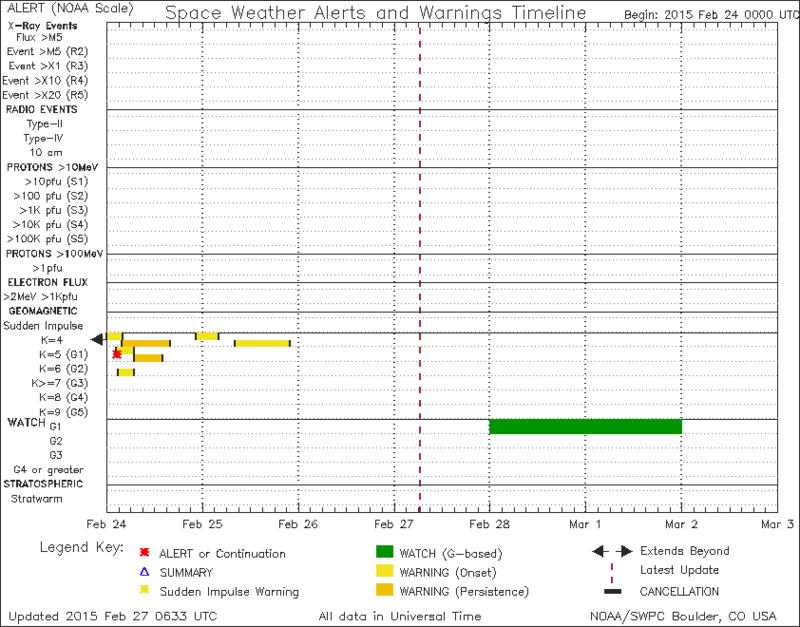 A second pulse much stronger (red box) following the first up in the daytime. It is not, however, detected by the Italian stations. 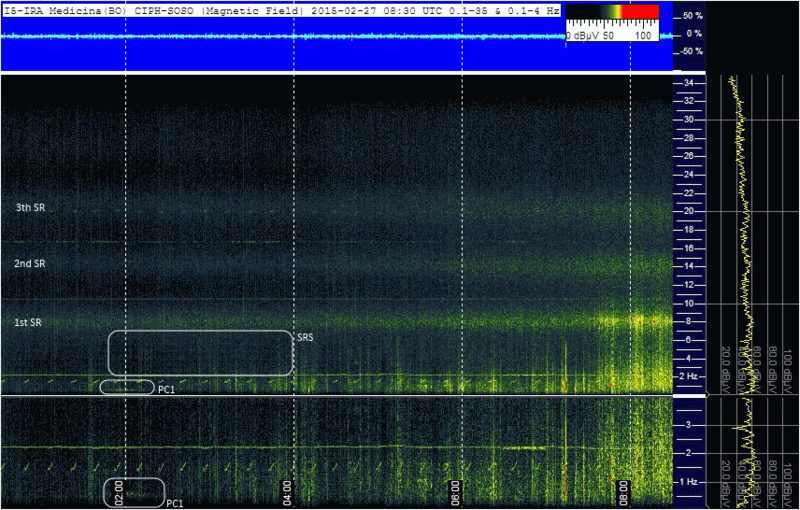 Clear PC1 detected with induction coil, and weak Spectral Resonances Structures. Schumann resonances marked in right side. Clear PC1 detected with induction coil, and weak Spectral Resonances Structures. Schumann resonances marked in left side. The second pulsation, starting from 03:00 UTC is totally invisible. Left picture represents Kiruna (KRN) and Medicina (IRA) at 02:00 UTC, during the first pulsation. 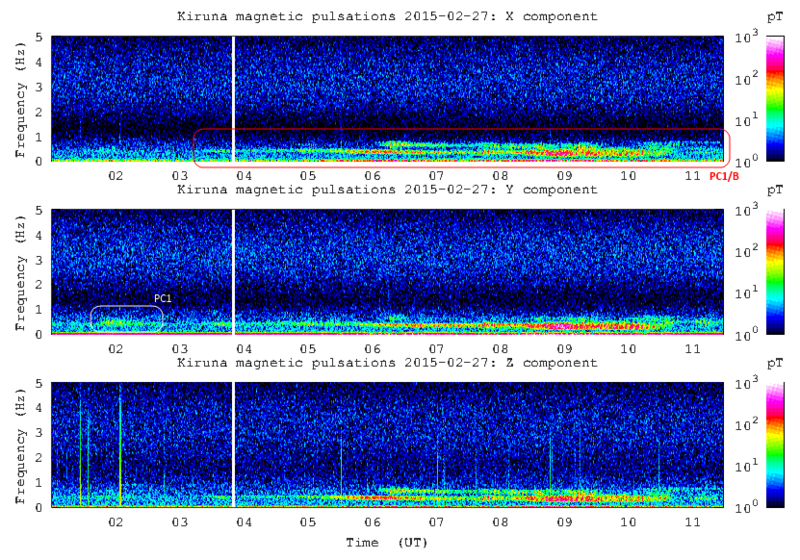 Right picture represents Kiruna (KRN) and Medicina (IRA) at 09:00 UTC, during the end of second pulsation. The propagation path during the day does not allow the signal to reach the middle latitudes, where the Italian observatory is located. 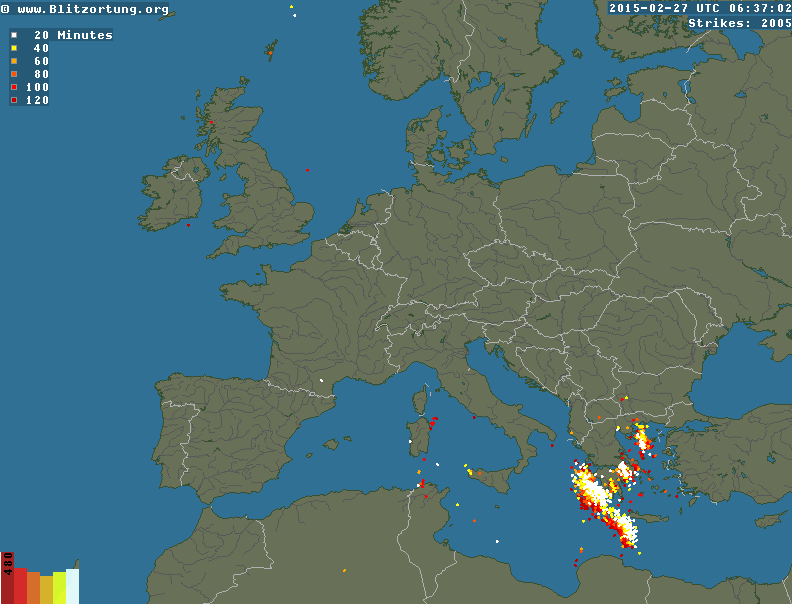 In Sogliano station SRS are also faintly visible: they originate from a strong storm front that, on the night, crossed the Mediterranean sea. 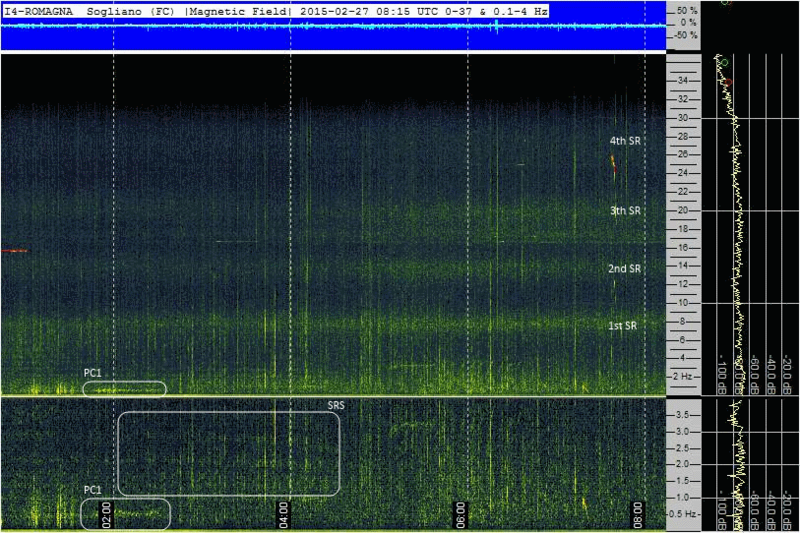 The first Schumann resonance is best seen in the right spectrogram (IRA). 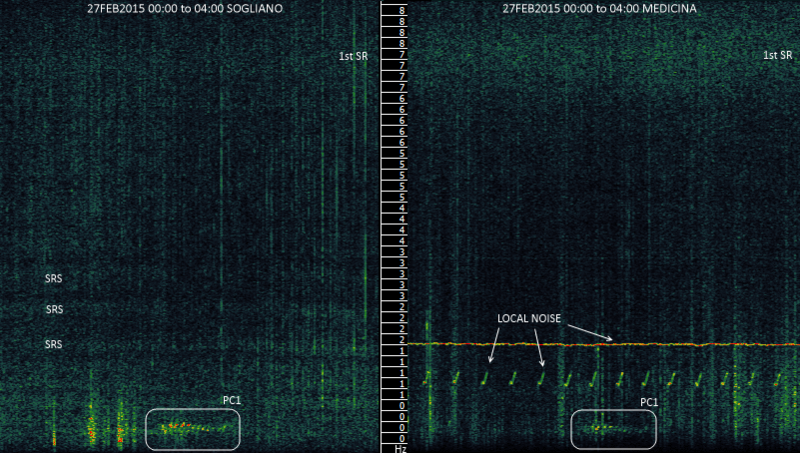 Instead the pulse is stronger in the spectrogram of the left (Sogliano). This is because the coils are not oriented in the same direction: the placement direction of each one was chosen for warranty the best immunity to interference, coming from the electricity distribution network.